As some of you might know, my mother’s family is from Germany. 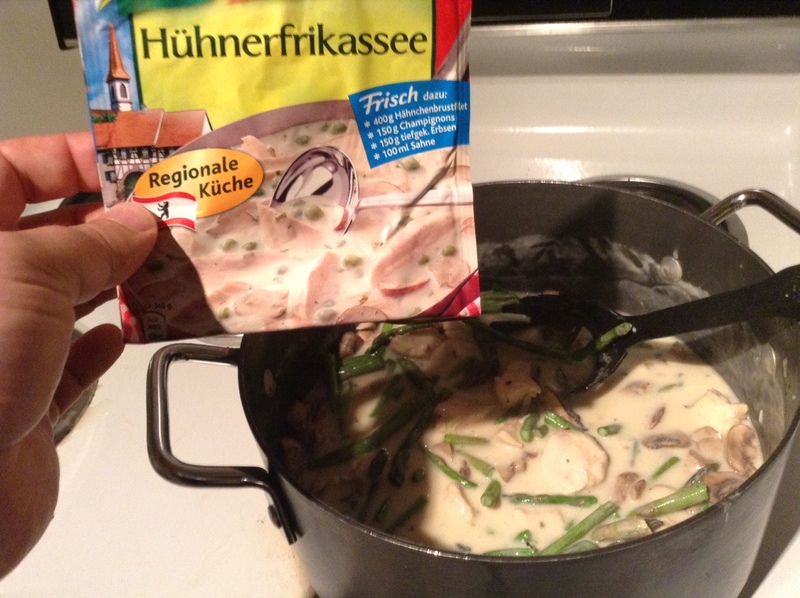 This meant, growing up in Texas, we had some fairly diverse meals with decidedly Teutonic character. What I best remember among them is a chicken dish with rice, asparagus, and mushrooms called ‘fricassee’. Now I have no idea if this is authentic (and my version from Knorr most decidedly is not, packaged to start with, and as you see I’ve replaced the peas with fresh California asparagus) but just making it awakens some ancestral memories. Anybody else out there have a specific dish that instantly reminds them of being in the 4th grade and reading Judy Blume novels? (We’re going to file this under ‘nostalgia kick, continued’). The comment board is open!